No matter how healthy you are, as the rest of your body ages, so do your eyes. And if you live long enough, you will develop a cataract or two. According to the National Eye Institute, by age 80, more than half of all Americans either have a cataract or have had cataract surgery. Cataracts are simply a gradual, natural clouding of the eye’s crystalline lens. If the lens eventually becomes too cloudy, objects might appear smeared and hazy. You can’t prevent cataracts, and in most cases they progress slowly. Once you’re ready, your cataracts can be surgically removed and replaced with a permanent lens. How Do You Know It’s Time for Surgery? Do I have problems reading or watching TV? How about seeing at night? When you’re no longer able to easily and safely perform daily activities, then it could be time for surgery. Talk with your regular eye doctor. If he or she is an ophthalmologist who specializes in anterior segment surgery, they may be able to do your surgery. Or, they may recommend a specialist, depending on your needs. For example, you may decide to have a premium lens instead of a traditional monofocal lens implanted to replace your cloudy lens. Ask your surgeon if they have experience with these kinds of lenses and can help you make the right choice. Do you feel comfortable with that physician and their staff? Were you treated professionally and politely? Did they give you enough information about the procedure—how it works, how long takes? What can you expect and who will you see the day after surgery to check how you are healing? Will it be the surgeon, another ophthalmologist, or an optometrist for your follow-up? Can your surgeon share his outcomes and/or infection rates? Think about your questions (better yet, make a list) in advance and make sure you get answers to all of them. No one can guarantee perfect vision surgery, but the more you know in advance, the better. Meanwhile, although you can’t prevent cataracts, you can delay them by protecting your vision, right now. Wear sunglasses and a hat with a brim to block ultraviolet sunlight. Eat green leafy vegetables, fruit, and other foods with antioxidants. If you are age 60 or older, get a comprehensive dilated eye exam at least once every two years. 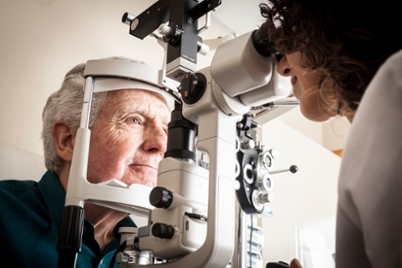 While monitoring for cataracts, your eye care professional can check for signs of age-related macular degeneration, glaucoma, and other vision disorders. These other eye conditions may require treatment or close monitoring.